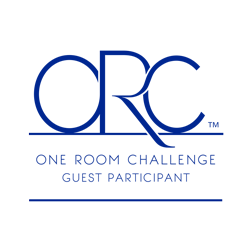 The spring 2016 One Room Challenge is officially underway! Linda at Calling It Home rounded up a talented group of featured designers and bloggers who kicked off the ORC yesterday. I am excited to be taking on the design challenge as a linking participant every Thursday. 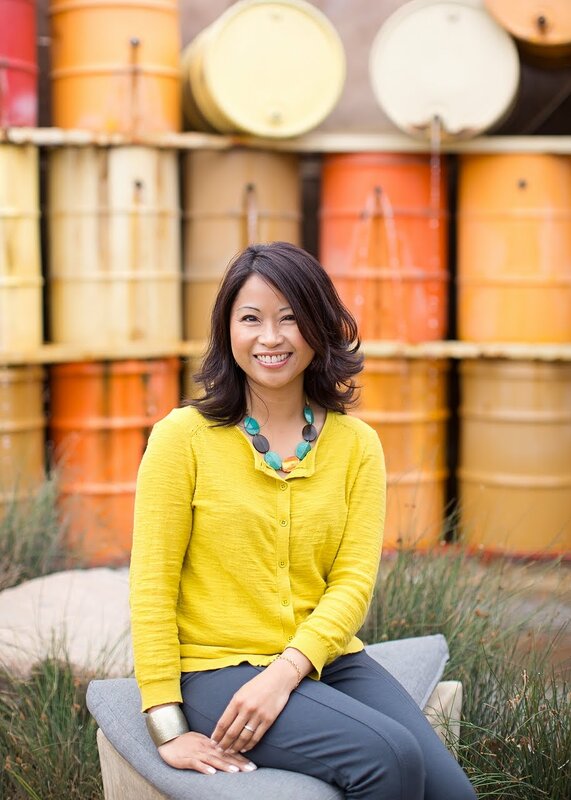 For those of you who are new here, I'm Carol, wife, mom, designer/blogger, and home renovator! This is where you'll find me sharing design tips and inspiration, as well as talking about our ongoing home renovation. My husband and I have been gradually updating our home, a fixer upper that we purchased nearly three years ago. Welcome! Last fall, I participated in my first ORC with our family room makeover. It was a challenging yet wonderful experience, so I thought I'd "subject" myself to the process again. :) The ORC challenges interior designers and bloggers to design and transform a space over the course of six weeks while documenting the progress every week. 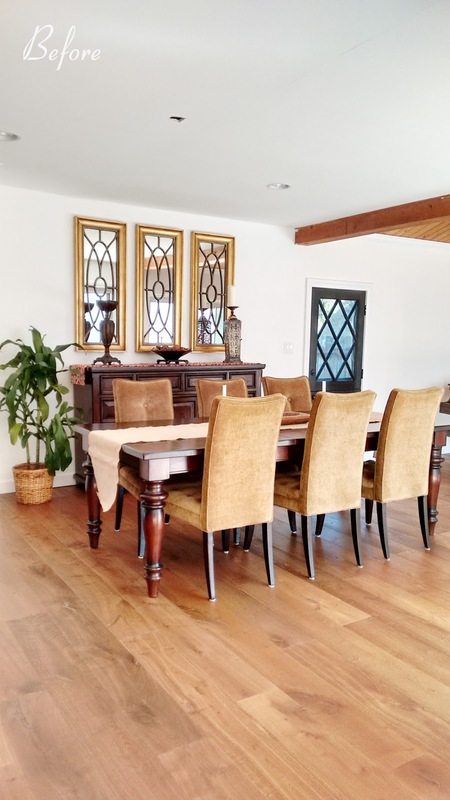 Recently, we have really been focused on updating the "great room" parts of our home - with the exception of the dining room. 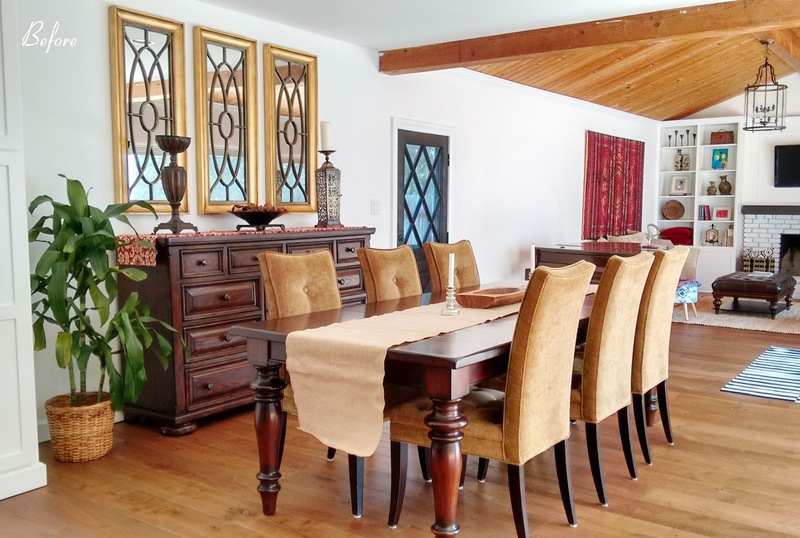 Our dining area is actually a transitional space that is sandwiched right in between the kitchen and family room. It is a small space, but a highly visible one. A couple months ago, I mentioned plans to makeover this room. Well, there is nothing like the ORC to kick things into gear and push me to finally pull the room together! As it is now, the room is "fine" to my hubby, but bland, uninspiring, and "personality-less" to me. It has been deprived of any real design attention. But it does have a good starting foundation, thanks to some renovations we did to the "bones" of the room (see below). The hardwood floors and natural light are nice inherent features. I'm hoping to take the room from blah to wow by layering in some interesting design elements. The dining room currently houses furniture/decor from our previous home. I intend to work with most of the existing furniture this will be a budget-friendly makeover, yet I am undecided about the chairs. Because of the open floor plan, any new elements that I bring in will need to visually connect and flow with the adjacent rooms. We had three weeks to do some improvements before we first moved in. In the dining room, specifically, we replaced the ceiling tiles with sheetrock, installed recessed lights, and painted. Last year, new hardwood floors and baseboards were installed (this was done throughout all the common living areas). Create dimension and interest with a focal wall. Add a ceiling light fixture. Add seating with "host" chairs. Possibly replace side chairs? Ground the space with an area rug. 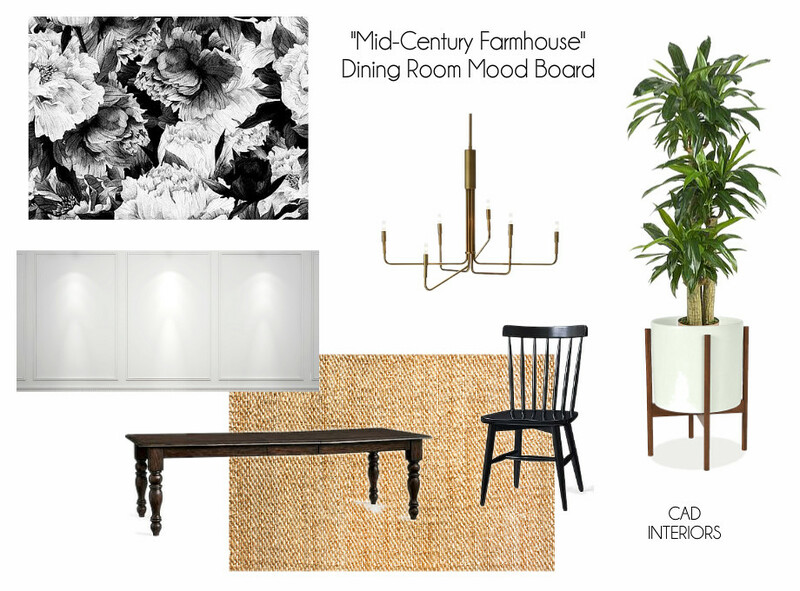 This mood board helps show the GENERAL direction I'm planning to go in the room. I'm still finalizing the decor details, so as usual, the design will unfold in real time! I'll be sharing the transformation progress right here on the blog, so I hope you'll check in and follow along! You can also follow me on Instagram @cadinteriors for periodic sneak peeks. The space has such great bones! I love your choices for finishes, furniture, and accessories. Looking forward to watching this room come together! ooo great bones! love the print that you chose! good luck! i am sure once you finish the room your husband will love it! You have an amazing space to begin with - Love where your heading! I'll be following along as I complete my ORC too! Woah! This is going to be amazing! I will be following along as I create a space for our little girl as well! Best of luck to you! Great space and I like what your about to do it. I will be following along. Good Luck!